I am a very friendly and outgoing girl and I love to help others! I love to dance and have done for many years, but also love to educate myself. I did extremely well at college and school and achieved amazing grades through hard work and dedication! I love to work with children/teenagers of all ages and love to try my hardest to help improve their future! 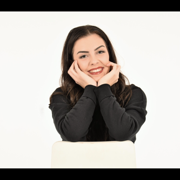 I have much experience within dance from different aspects and I also have a level three extended UAL qualification in dance and dramatic arts at a distinction grade. I also have 11 GCSE & BTEC qualifications graded at A*-C. I am also currently training to become a dance teacher. I also have a full and clear DBS check certificate.